This past Saturday was full of excitement for the Pulse crew. We started the day careening through the air on the Screamin’ Gator Zip Line at Gatorland and then topped it off with ridiculous amounts of fun at AirHeads Indoor Trampoline Arena. Ash Bouncing at AirHeads! from Kim Taylor on Vimeo. AirHeads doesn’t need much explanation; from the moment you walk in, sensory overload sets in. 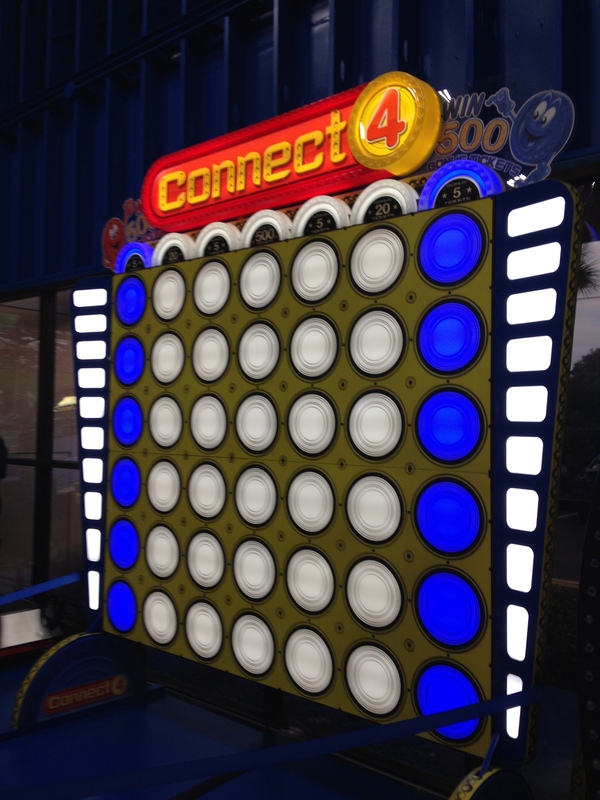 You see a giant Connect 4 game, tons of arcade-like games, and wall-to-wall trampolines. It’s pretty amazing. AirHeads is all ages and they do their best to group jumpers together according to size, which definitely works to everyone’s advantage (hello, have you seen my jumping?!). If you need more reasons to check out AirHeads, they also have Dodgeball Thursday nights and calorie-busting fitness classes, totally cannot wait to try those!! AirHeads Orlando is located just outside Downtown Orlando at 33 West Pineloch Avenue. Do yourself a favor, skip two lattes and use the cash here … it’ll be way more fun! Wanna see more of our photos from AirHeads? Check out our Flickr Photostream! Okay, I want to try the calorie-busting fitness classes – let me know when you go! and that video of Ashley… your giggles and Justin in the background is amazing! I had a ton of fun, Colleen! I would go back, for sure. We also spoke to the General Manager/Partner about a possible Yelp Orlando event there, or a Tweetup. Fun idea? @Colleen … Definitely on the fitness thing. Oh, and I laughed at hearing my giggles, too. It’s just so funny bouncing and watching someone else be equally goofy. So much fun!